Weight Watchers has announced a brand new program that takes a more rounded approach to weight loss. The Beyond the Scale program is being touted as a program that supports a more personalized look at losing weight. Editors Note:: The “Lose 10 lbs. on Us” promotion has expired. Many of you have expressed interest in how to redeem your free months. Please read this form for information on redemption process. For more information, read the “User Submitted” comments at the bottom of this article. The Beyond the Scale program uses the SmartPoints plan alongside a unique fitness program that helps people to stay active and educates them on proper nutrition. This program will help people with their weight loss goals and is a natural evolution over what Weight Watchers has offered in the past. Weight Watchers understands that part of losing weight involves both trying to get results and also developing a great mindset for actually losing it. This program will helps people get the most out of staying motifated, under control, and informed throughout their weight loss journey. 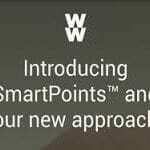 1) How Does the New SmartPoints Program Work? The SmartPoints part of the program is the first key weight loss feature in the Beyond the Scale program. This part of Weight Watchers has been popular with many people including numerous big-name celebrities. The SmartPoints feature is a natural evolution of the PointsPlus system. This is a system where nutritional data is adjusted into simple numbers that are easy to follow. The points for individual foods are based heavily off of how much one eats and what types of foods are included. The number in the PointsPlus setup is designed to be as easy to follow as possible. In particular, it entails a focus on lean protein while avoiding saturated fats and sugars. This is a great feature that ensures that people focus on eating right. In fact, the values for foods will vary throughout the entire program. Fruits and vegetables are typically listed at zero points or close to zero. This encourages people to be careful when selecting healthy foods for their diets. The menu continues to exist with all of the foods that people have been known to love and enjoy within their weight loss efforts. The key though is that it places more of an emphasis on helping people to find only the healthiest and safest options to enjoy. The biggest part of the SmartPoints system is that it ensures that people will make the right choices and stay healthy for as long as they possibly can. 2) What is the New FitBreak Mobile App? One unique part of the program comes from the FitBreak system. This works with a convenient application that people can use on their mobile devices. The FitBreak app offers people with more than seventy different solutions for moving around and losing weight the right way. The FitBreak options that are covered here are rather unique and will give people the appropriate forms of help that they need in order to stay healthy and active for as long as they can. The FitBreak feature works well for people who want to learn how to lose weight and keep it off. 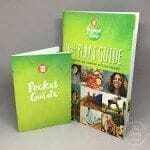 It provides over 70 different inspirational options in order to stay active and track goals while trying to lose weight. 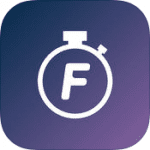 FitBreak’s main focus over previous trackers is to allow people to feel more comfortable with their overall program. 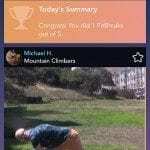 People will discover that this new app provides a easier way to help stay active and on goal regardless of their unique circumstances. This is a special part of the program that gives people the help that they crave when trying to stay on the right path to living healthy and comfortable lives. The Personalization feature in the Beyond the Scale program works by offering members personlized SmartPoints totals based off personal assessments. Activity goals are then developed based on the individuals unique lifestyle such as those who live at home, may work too late at the office or are constantly on the go. As in prior programs, these features are based off of points tailored to one’s weight loss goals and how active and motivated they are. This setup helps people develop their objectives and helps them become more comfortable and confident with their daily or weekly weight loss activities. 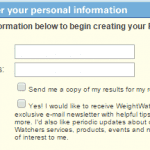 Weight Watchers personalization program is unique compared to prior years and will be considered very worthwhile for all those who are put efforts into to losing weight and staying healthy. 4) Is There Anything Else I Can Expect from “Beyond the Scale”? There are many additional features that will come about within the program including a new mobile app experience. This includes a “Connect” feature, where a Weight Watchers social community is available for use on a mobile device. This allows people to look for added support and assistance with sticking with their weight loss goals. This in turn helps people know what they can do when eating right and staying active. The Weight Watchers community has been known for being amazingly supportive and helpful with regards to giving people the assistance they need. The meeting experience that comes with losing weight in the program has also changed over time. This new experience works by offering a focus on the goals that people have when maintaining health. This focuses on not only actually losing weight but also establishing a series of special goals and standards for staying healthy and active for as long as possible. The efforts that are supported in the meetings will especially be comforting and easy for everyone to handle. 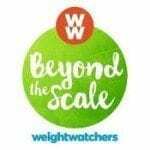 Have you been on the Beyond the Scale program or are considering going on it? We would love to hear your feedback, please post it here! I have spent an excess of 1 hour trying to figure out how to get the 2-months free of WW for losing 10 lbs. I have lost 11.2. I have called Customer service twice. they are NOT making this easy. I have already purchased a 3-month pass that will self-renew in March. Can anyone please help???? Sorry you are having such problems. What a headache. We will reach out to Weight Watchers and see if we can get you to the right individual to speak to. According to Weight Watchers, the lose 10 lbs. on us promotion just expired on 2/15/16. I’m guessing you would have to submitted your results prior to this date. I have spent over an hour looking for the e mail/web site, or what ever it is I am suppose to submit my refund form and my weight loss record in order to to get the free 2 months. The refund form clearly states that all forms have to be submitted between 2/15/16 – 4/30/16. Went on chat and copied and pasted the website they gave me but when I search for it it brings up everything but the one I was given. How do I submit the form ? Also, Weight watchers is good to offer promotions for those who are “new” members. Why isn’t there anything ever offered for members who have been with weight watchers for any length of time? Just curious. It seems to me you would want to try to keep the members you already have as well as recruit new members. I just accessed the form through the above link. Good luck!